Measure, mix, pour and heat in this durable glass cup with turquoise markings. 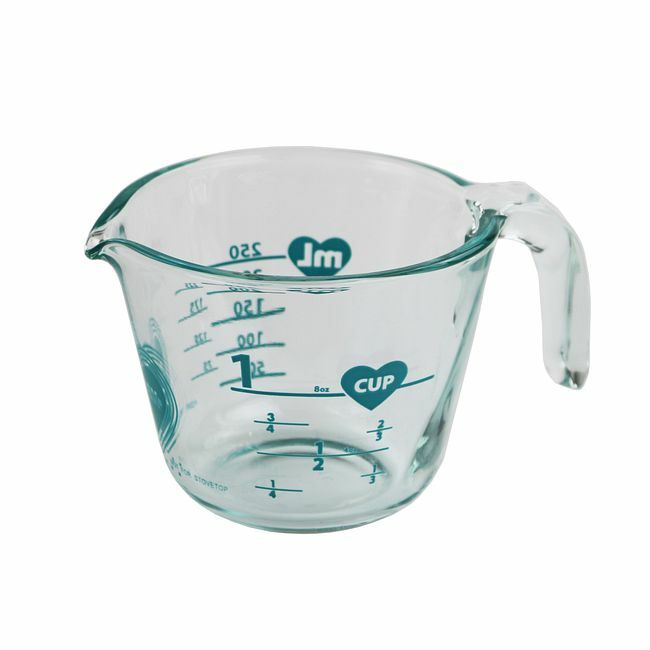 From measuring liquids to melting butter, this hardworking 1-cup measuring cup is a reliable kitchen helper. 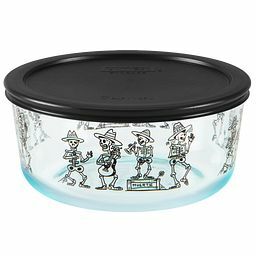 The clear Pyrex® glass gets fun personality from turquoise standard and metric markings, and it can go right in the microwave to heat ingredients—the handle stays cool for easy pouring. Pyrex® glassware is designed to be as versatile as it is long lasting. You can use it to prepare, store, cook, bake, warm or reheat food—in pre-heated conventional and convection ovens, or in microwaves. 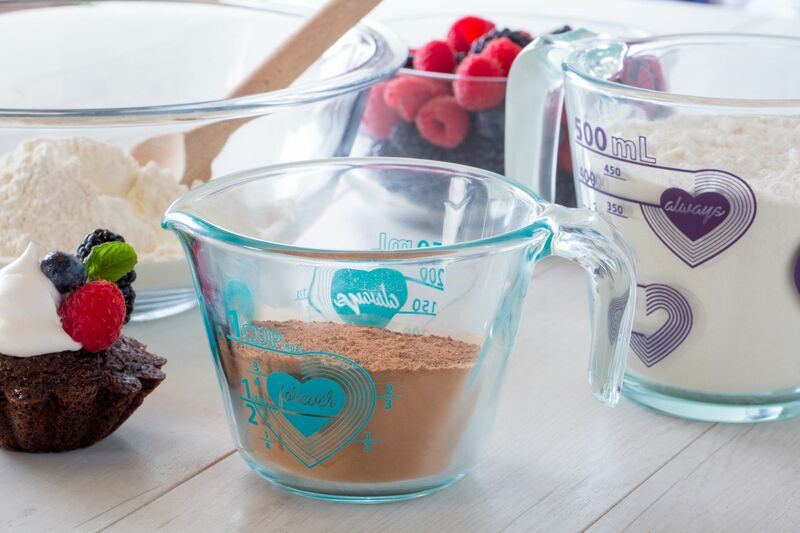 And cleanup is easy – just place your Pyrex® glassware in the dishwasher. As with any glass product, there are a few common-sense precautions to keep in mind for your safety when using Pyrex® glassware. Your safety is important to us, so please read the guidance below. If you don’t use Pyrex® glassware in a way that is consistent with this guidance, it could break and cause injury. 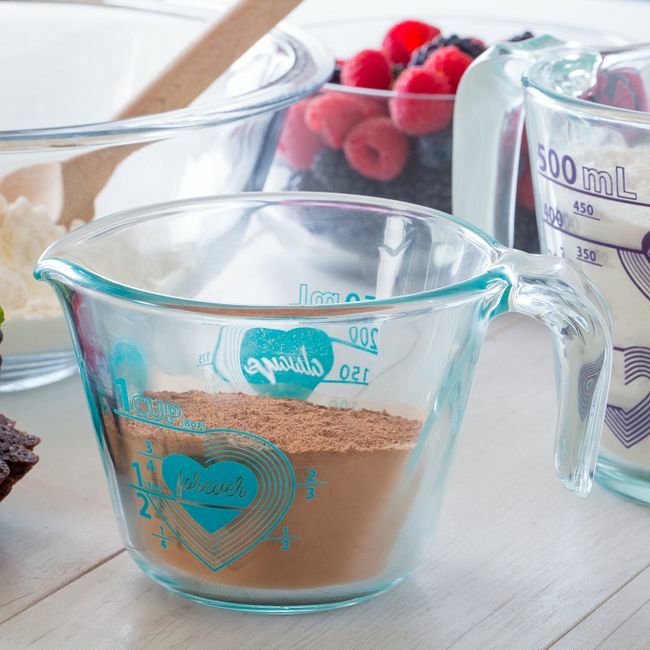 Be sure to read the entire safety and usage instructions accompanying your Pyrex® glassware before use. 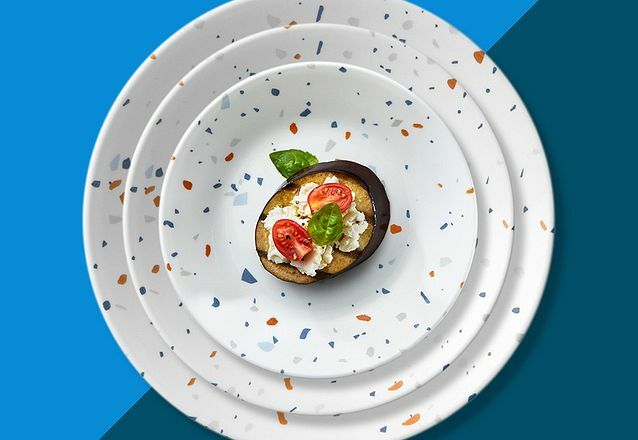 While Pyrex® glass is heat strengthened, through a thermal tempering process, to be durable and long-lasting, Pyrex® glassware-- any glass products, for that matter--can break if it’s dropped, knocked against a hard surface, or struck with a hard utensil—so handle your Pyrex® glassware with care. 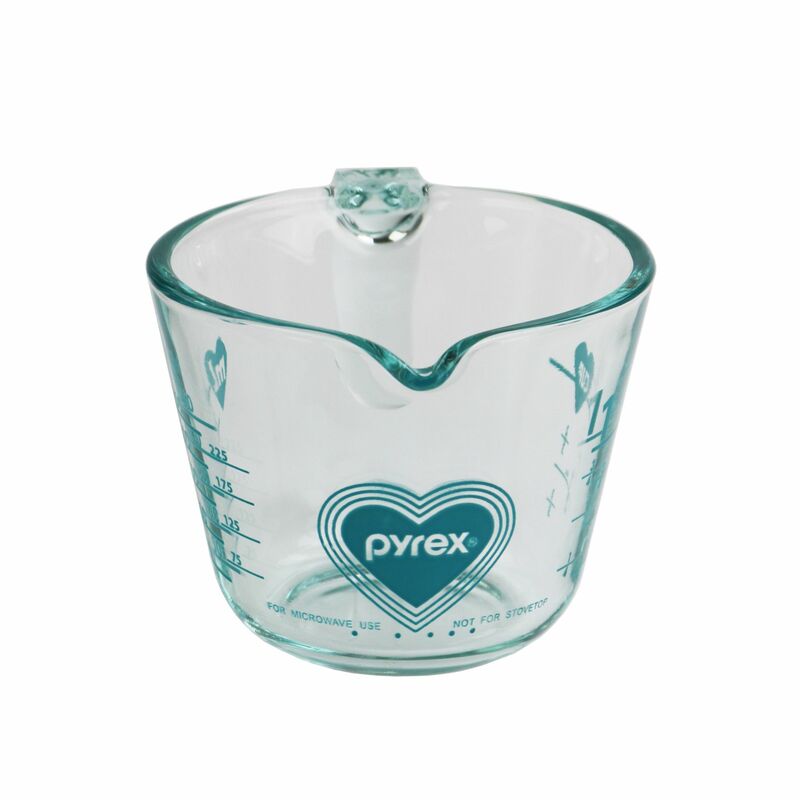 If a piece of Pyrex® glassware does become chipped, cracked or scratched, don’t use it, as its strength may be compromised and it could break or shatter (even long after a chip or crack appears). And if you do break a piece of Pyrex® glassware, use thick gloves and a great deal of caution cleaning the broken glass, as pieces can be extremely sharp and be widely spread from the point of breakage. Of course glassware gets extremely hot in both conventional and microwave ovens, so use protective pot-holders to handle heated glass--don’t ever touch the hot glass with your bare hands, or allow it to come into contact with your body. Keep hot glass well out of children’s reach. Always preheat your oven before placing your Pyrex® dish inside it. While the glass is designed for temperatures typically used in baking, it can break when exposed to the direct heat element while the oven is preheating. Do not use Pyrex® glassware on the stovetop (open flame, electric burner), under the broiler, in a toaster oven, or on a barbecue grill. This type of usage exposes Pyrex® glassware to potentially damaging direct heat sources. Before cooking items that may release liquid (including fat, food juices, or moisture from frozen foods) in your Pyrex® glassware, add a small amount of liquid to cover the bottom of the dish before you put it in the oven. This serves to minimize any potential sudden temperature change that may occur as the food releases liquid. 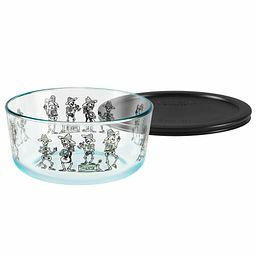 Once a Pyrex® dish is already hot, do not add liquid to it (for example, by basting with liquid not already in the dish). Adding liquid to hot glass may compromise the product’s strength, potentially resulting in breakage. 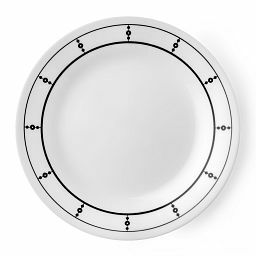 Avoid placing a hot Pyrex® dish directly on a countertop or wet, cool or metal surface. 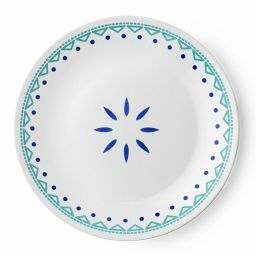 Place it on a dry cloth or potholder, or on a wooden trivet or cooling rack. 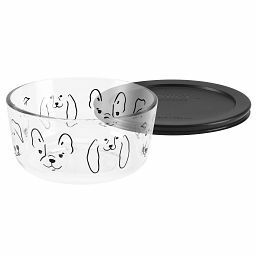 Allow Pyrex to come to room temperature before immersing in water or placing in the freezer, refrigerator, microwave or pre-heated oven. Don’t use Pyrex to microwave popcorn or heat foods in browning wrappers. Microwavable popcorn bags and browning wrappers are specially designed to concentrate heat in targeted spots, and may damage the glass. Don’t heat empty or nearly empty glass containers in the microware. When heating oil or butter in the microwave, heat only for the minimal time required—don’t overheat. Pyrex® glassware plastic lids are BPA free. They are safe for use in the microwave and for food storage. 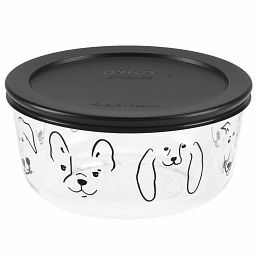 Pyrex® lids cannot be placed in conventional or convection ovens (because they’ll melt), unless specifically noted on the package that they are designed for oven use (as with Pyrex® Ultimate Storage silicone and glass lids). 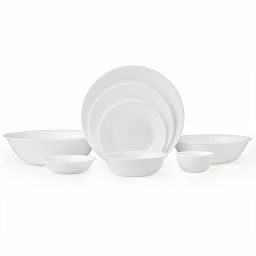 Pyrex® glassware and lids are dishwasher safe, making cleanup easy and carefree. Keep both plastic lids and glassware away from direct heat elements in the dishwasher. When washing Pyrex® glassware by hand, use non-abrasive cleansers. 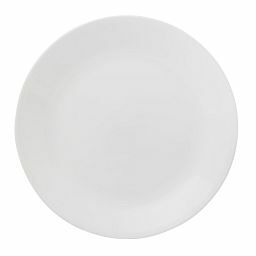 To remove baked-on foods, soak the dish and use a plastic or nylon cleaning pad if scouring is needed. 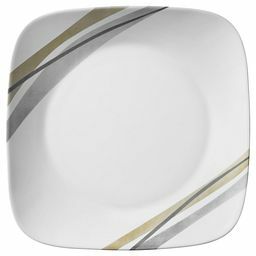 Corelle Brands LLC promises to replace any Pyrex glass product that breaks from oven heat, and any Pyrex non-glass accessory item with a manufacturing defect, within TWO YEARS from the date of purchase. The owner must follow the Safety and Usage Instructions provided with the product. Please contact our Consumer Care Center for warranty claims. KEEP THE PRODUCT. You may be asked to return it. Incidental and consequential damages are expressly excluded from these warranties. Some jurisdictions do not allow the exclusion or limitation on incidental or consequential damages, so the foregoing limitation or exclusion may not apply to you. This warranty gives you specific legal rights, and you may also have other rights which vary from jurisdiction to jurisdiction.